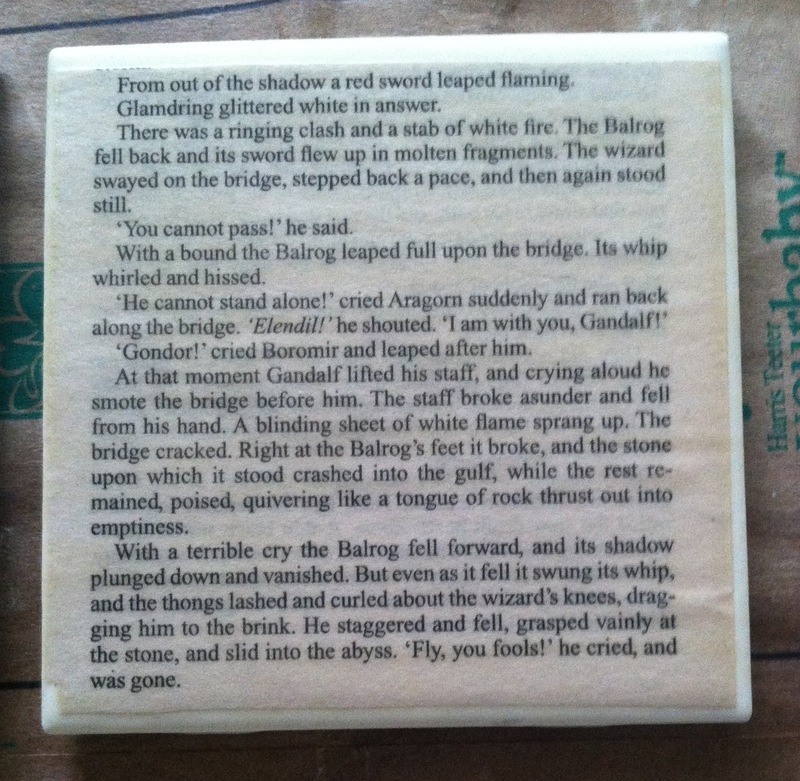 What do you do after you make coasters from pages of Harry Potter and the Sorcerer’s Stone? 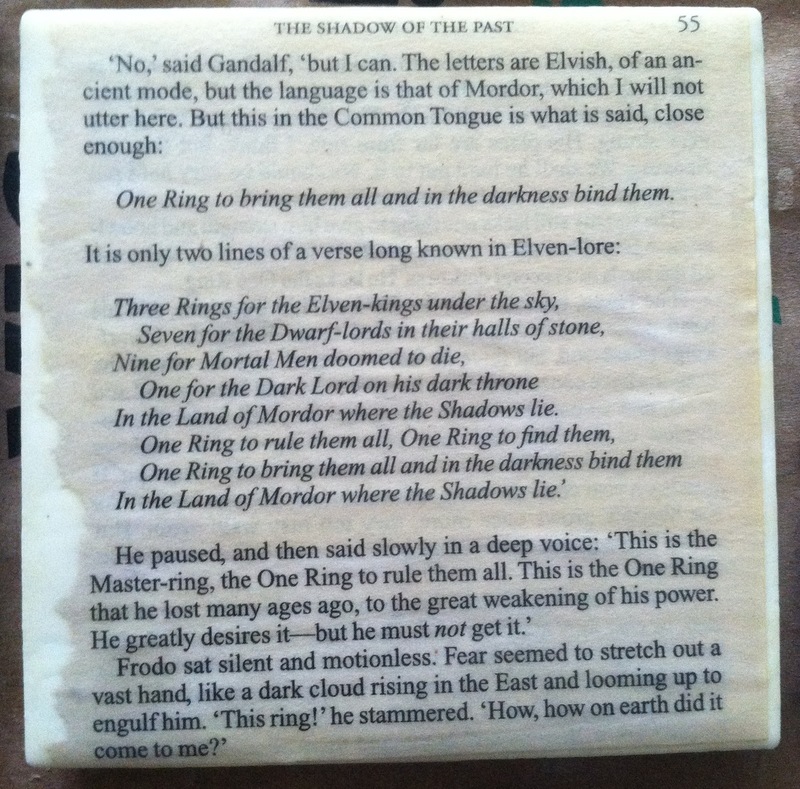 Why, you make coasters out of pages from The Lord of the Rings: The Fellowship of the Ring, of course! 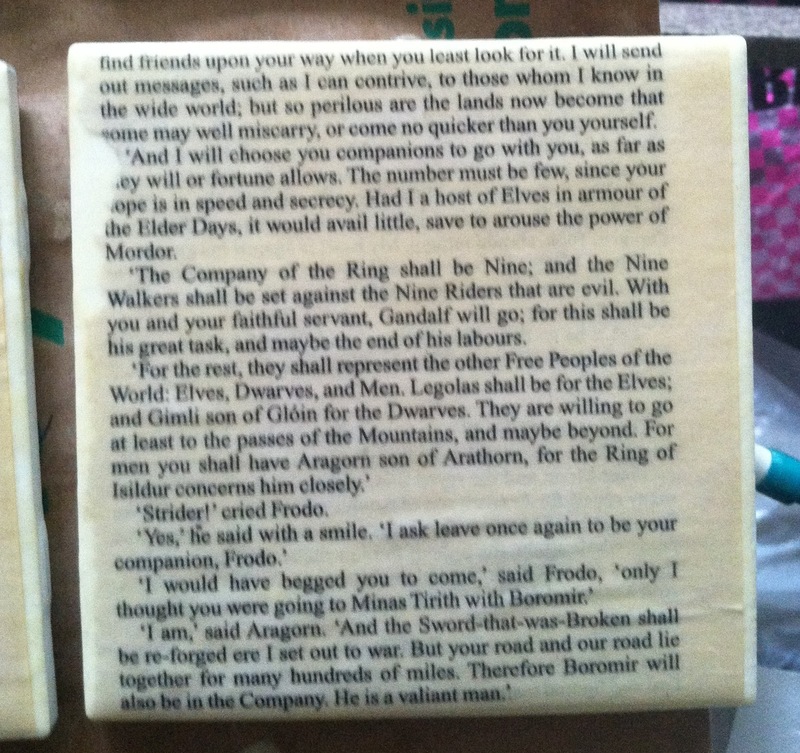 My idea to make coasters using book pages actually came about because I was trying to figure out something to do for my sister Katelyn in response to the awesome LOTR candles she made me for my birthday last year. 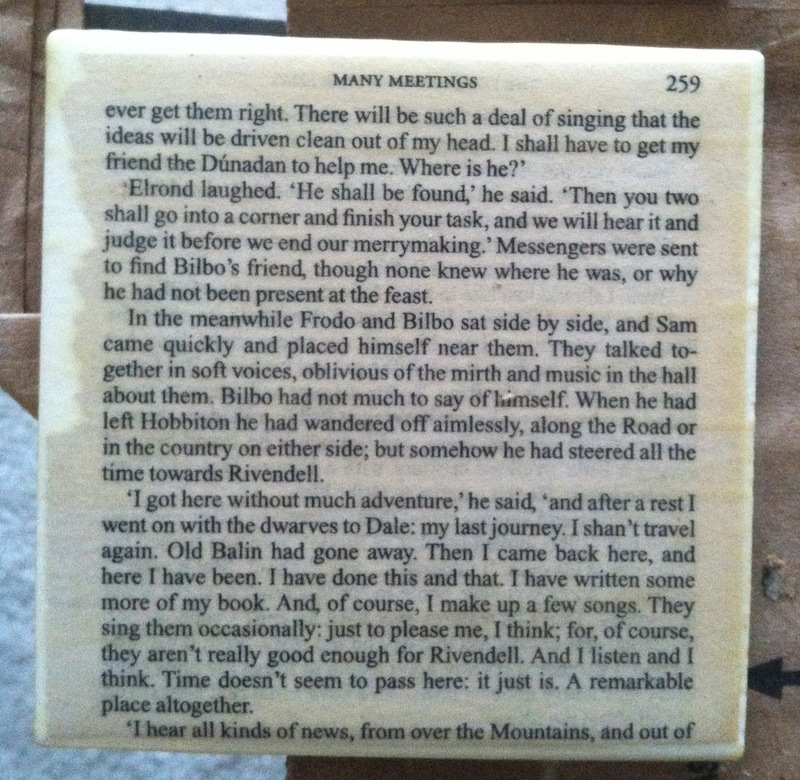 I found a ‘gently used’ soft-cover copy of Fellowship at the flea market and set about trying to find quotes or scenes that I loved and wanted to immortalize on tile with Antique Mod Podge. 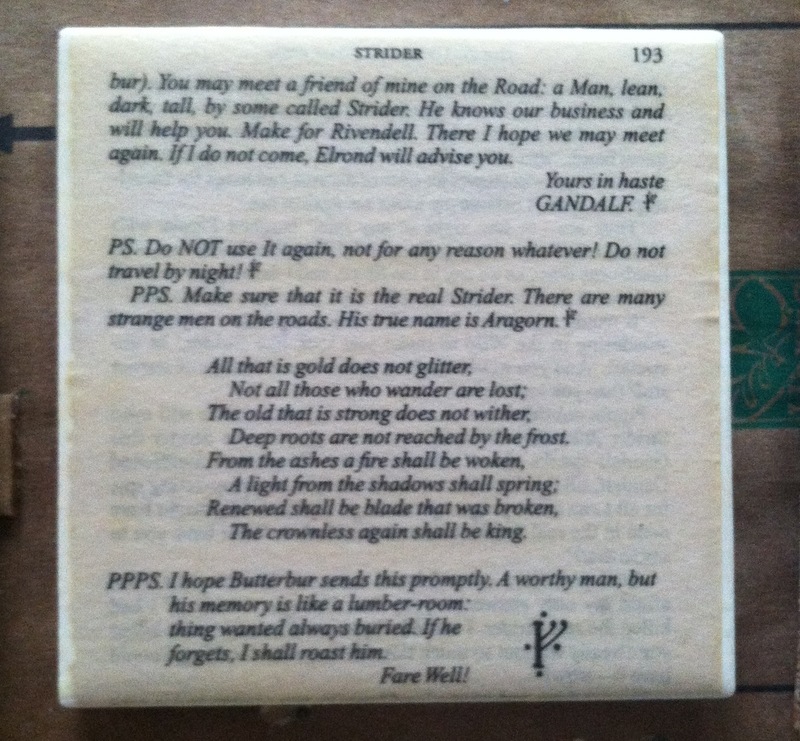 The title page to the chapter “Strider” was included for sentimental reasons. 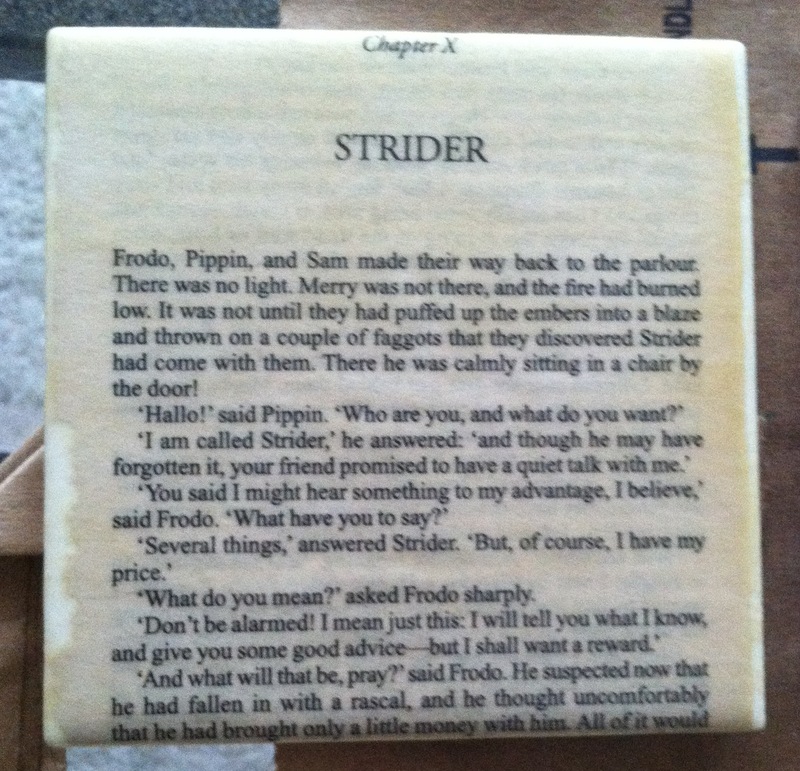 Our family dog growing up was named Strider after Aragorn’s pseudonym. 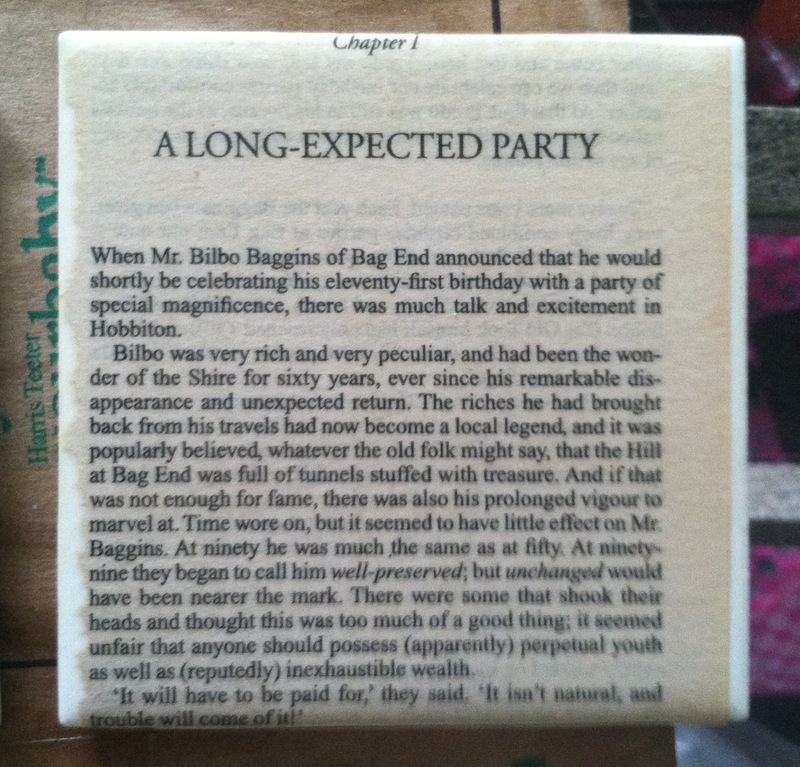 Next up, I used the scene between Frodo and Bilbo at Rivendell where they’re discussing adventures and what Bilbo has been up to since leaving the Shire. 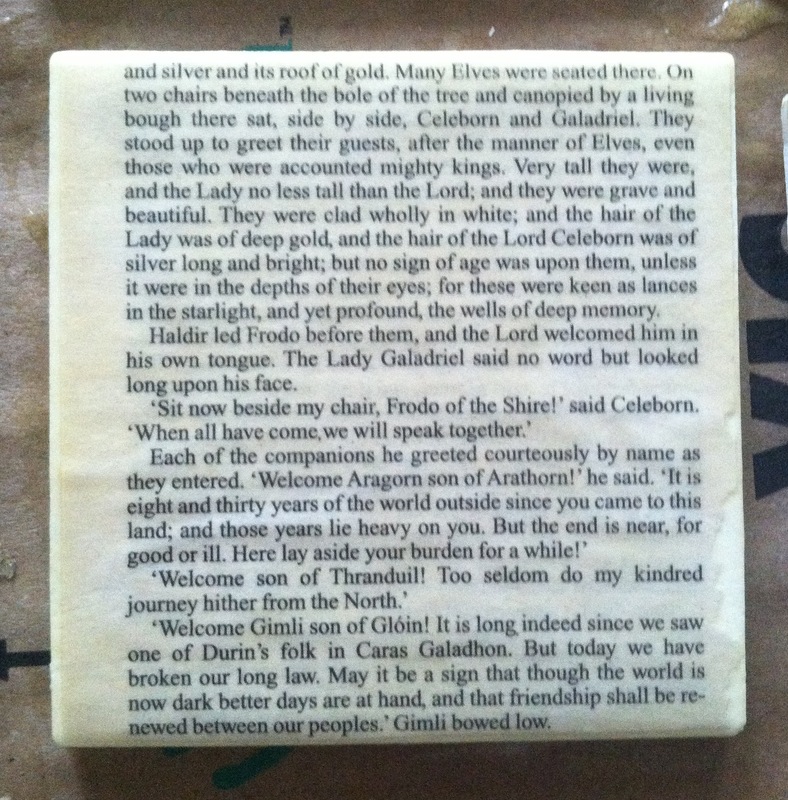 Lord Celeborn and Lady Galadriel welcoming the remaining Fellowship members to Lothlorien is featured on the final coaster.